1 due to the pump operating at high temperature, so cold piping installation should be established bearing joints, piping to prevent displacement after warming. 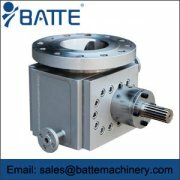 2 is to find the coupling must be hot after heating in the pump body, in order to avoid the additional torque caused by operation. 3 pump outlet pressure test point to set up the interlocking stop the alarm, otherwise, once the discharge pipe is blocked, easy cause pump body damage. 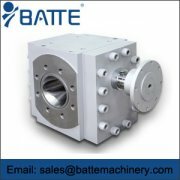 4 when the pump starts at the outlet without pressure, it can not speed blindly to prevent shaft or bearing premature damage. 5 when cleaning the fluid, do not use the pump transfer cleaning fluid, should remove the inner parts, after the end of the migration is installed, so as not to pump into the foreign body. 6 the temperature of the heat medium of the pump body can be slightly lower than the heat medium temperature of the jacket sleeve.. Because the melt viscosity and shear rate become decreasing function relationship, the extrusion of the gear, the shear of bearing will melt the temperature of the pump after the pump rise 5 ~ 3, and reduce the temperature of the heat medium can prevent melt degradation.. 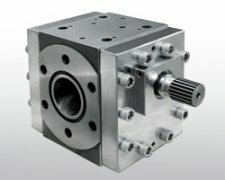 The data indicate that by lowering the temperature of the bearing area can be greatly increased bearing bearing capacity, do not need to replace the large capacity pump, simply by increasing the speed you can use the output capacity of the gear pump is increased by 50%. 7 speed to slow, don't make the pressure sharp rise before and after, lest damage bearing or melt plug lubrication channel. 8 the melt filter at the back of the pump should be replaced regularly, don't run at high pressure and even pressure..
9 regular replacement of bearings can save maintenance costs. 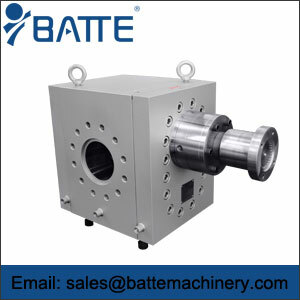 When the shaft or bearing internal surface wear is close to the thickness of the hardened layer, the shaft can be polished and used again, and only the replacement of the bearing, which can prolong the life of the pump shaft for 8 to 10 years..
10 if the event of power outages or thermal media interruption of more than 3Omin, the pump should be cleaned after the disintegration of the re assembly, so as to avoid the melt curing, cracking and other cause bearing lubrication and pump damage. 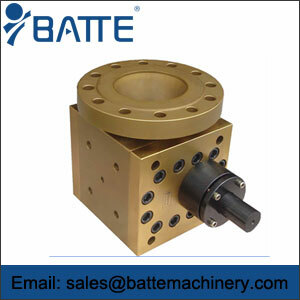 The gear pump is the ideal equipment for conveying high viscosity liquid, and its application is wide..